There are multiple solutions to every puzzle listed in the sections below, but if you're looking for the fastest answer, we've listed each passcode beneath the solutions. Some require pulling up clues from previous episodes, while others can be overcome in completely optional ways. Help Chloe and Max enter hidden places and collect information they're not meant to see with our quick how-to guide. 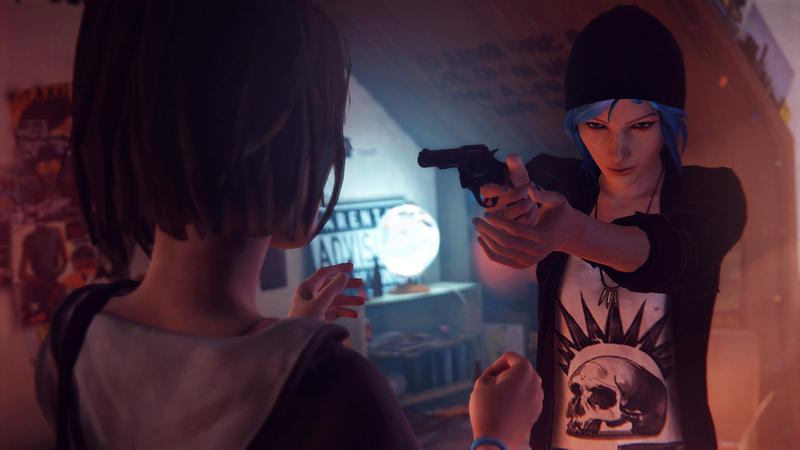 Grab all the optional photos in Life is Strange with our collectible guides, covering every episode of the series so far. Find them here; Episode 1 Photo Locations, Episode 2 Photo Locations, Episode 3 Photo Locations and Episode 4 Photo Locations. How to Solve: There are two ways to solve this puzzle. Check out Nathan's Blackwell record to find his birthday -- 8/29. That's his 4-digit PIN. Otherwise, input wrong codes until you're given the option to input an 8-digit PUK. The 8-digit PUK is found on the phone's SIM card. How to Solve: After Max brushes away the hay in the corner of the barn, she'll need to get inside the cellar. Climb up to the top, with Chloe's help, then reverse time after clambering up the old motor. Tie the motor to the rope then pull to smash open the vault. At the bunker door, look closely at the keypad -- some of the keys are more worn than others. Or, look at Nathan's note to find the answer; there's a set of three numbers written in red and under-lined. How to Solve: In Ep. 3, it's possible to get a quick look at the padlock combination next to the laptop in the garage. If you don't remember the combination, you can collect keys on David's work bench in the garage. Tamper with the Fuse Box across from the lockers, then leave through the nearby door and circle around to David's room. Use Rewind and grab the keys while David is busy.